After being immersed in the art and design of "Steampunk" for the past 9 years, it was inevitable that the styling would show up in my lighting design. Pictured here is the Oxford Station Wall Lamp. 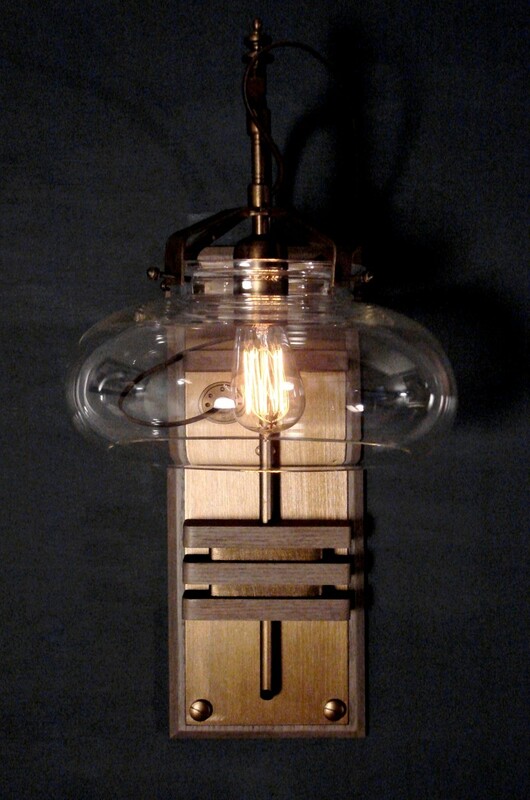 It is a Limited Edition design in hand blown glass, solid brass and mahogany. Dimensions: 26" tall x 12" wide with a 16" projection. Each piece is signed and dated by Art Donovan.